Romney’s Cabinet: He wants to treat the Cabinet like a corporate board of directors, a truly idiotic idea. Mitt Romney is about to start his rebranding: He wants us to think of him as the guy who will fix the economy by utilizing all the private-sector wisdom that he brought to Bain Capital and the Salt Lake City Olympics. So two things he keeps saying really bother me. First, he says he wants to use his Cabinet like a board of directors. That is a truly horrible metaphor. A corporate board picks the CEO, reviews major strategic decisions, and leaves day-to-day management to the CEO. Also, corporate board members (except for the distinct minority who are also on the company management team) are only part-time employees. Nothing could be further from the job description of the members of the presidential Cabinet: Cabinet secretaries are the ones who take strategic guidance from the president and then implement it on a day-to-day basis through their management of their agencies. Romney loves this metaphor because it sounds good. He is using business jargon to suggest his management will be prompt, efficient, smart, and profitable. Instead, if you understand government and the private sector, he is speaking nonsense. Second, Romney says that the minimum we will spend on defense is 4 percent of GDP. Why? The size of GDP has nothing to do with the mission and needs of the military. It might be we should spend much more, maybe much less. If GDP grows quickly, we might be able to fulfill our defense mission with a smaller percentage of GDP. If the global strategic environment shifts, our needs may increase or decrease. Romney is conflating two totally unrelated variables in a way that creates an illusion of thoughtfulness but is actually absurd. If he wants to be a smart budgeter, he should define the mission and then set the budget. Defense as a mission is unrelated to the size or growth rate of GDP. 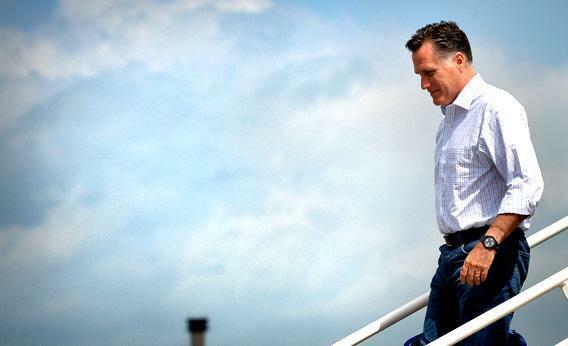 This is the problem with both the Romney and the Republican agenda: all razzle dazzle, no substance.